As healthcare continues its industry-wide transition from paper-based to electronic records, a successful end user computing strategy – including desktop virtualization – gives care providers fast access to clinical applications and patient information at the point of care, which can significantly increase workflow efficiency and improve the patient experience. The healthcare industry is rapidly increasing its adoption of virtual desktop infrastructure (VDI) as way to enable faster, more convenient access to patient information. 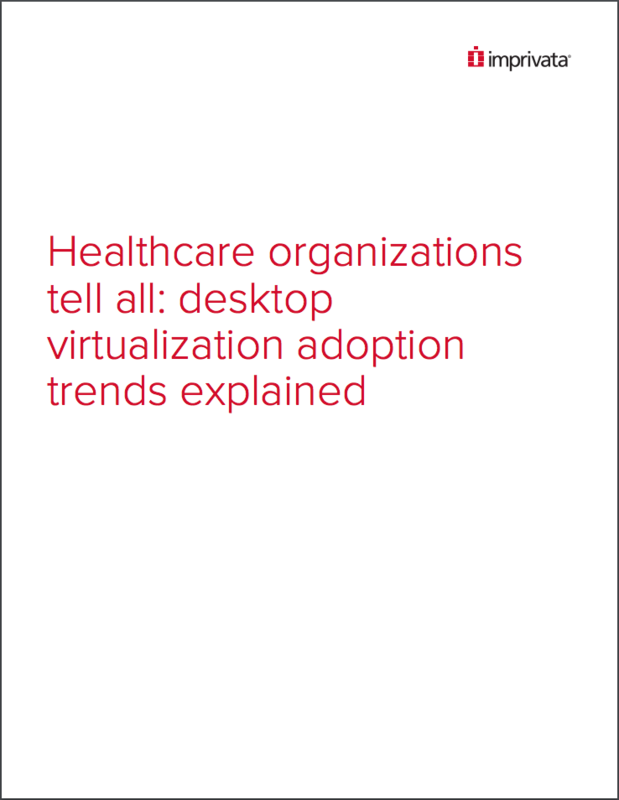 However, the adoption and implementation of VDI can be difficult for many healthcare organizations to navigate. When coupled with single sign-on (SSO), VDI not only saves time for clinicians during logins by replacing passwords, but also when attempting to access applications. Many healthcare organizations have reported thousands of hours and millions of dollars saved with desktop virtualization and SSO. In a recent article published in the International Journal of Medical Informatics, CHRISTUS Health reported 26,301 hours and $2.3 million in projected savings per year with desktop virtualization and SSO. Johns Hopkins implemented SSO to improve access to applications, while also eliminating wasted time due to password confusion. Johns Hopkins rolled out SSO to 34,700 users and reported a total time savings of 2,550 man-hours within one month. After replacing a previously installed SSO solution with Imprivata and implementing VDI with roaming desktops, clinicians were given instant access to their desktops, clinical applications, and patient data. Overall, South Shore realized an overall savings of 583 hours per day, $5.69 million in average annual benefit, and a 695% annual return on investment.